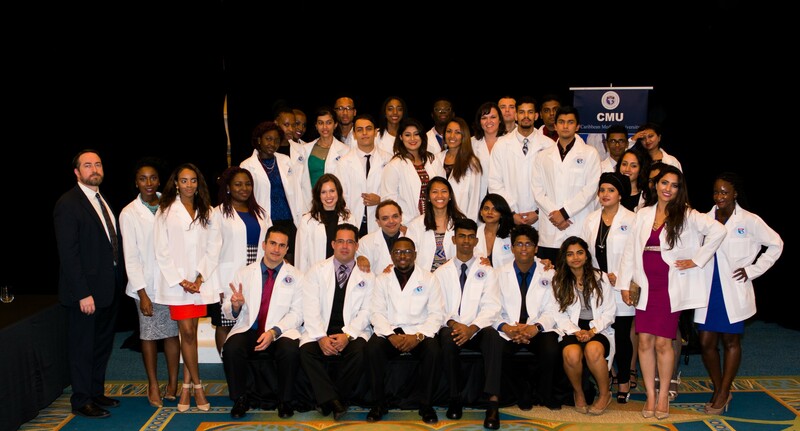 WILLEMSTAD - Last week Caribbean Medical University held their White Coat Ceremony which took place Friday evening October 28th 2016 at the Renaissance Hotel during which 49 students took the Hippocratic oath. Mr. Brian Rogers of the USA Consulate was the keynote speaker of the event. 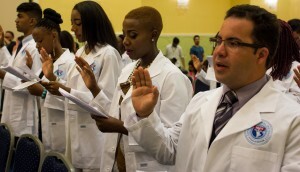 "The White Coat Ceremony (WCC) is a relatively new ritual in some medical schools that marks the student's entrance into clinical medical education. At some schools, like CMU, where students begin meeting patients early in their education, the white coat ceremony is held at the beginning of the second year (MD-1). WCC typically addresses the issue of medical ethics and praises rising incoming second-year students for their admission into the medical profession. A reading of the Hippocratic Oath is a part of the ceremony and student's family and friends usually attend the event as well. Our school organizes a WCC every trimester and many students now consider it a rite of passage in the journey toward a medical career".